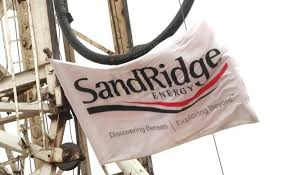 The SandRidge Mississippian Trust I headquartered in Austin, Texas announced a quarterly distribution for the three-month period ended June 30 of $1.2\ million or $0.0412 per unit. The official distribution is expected to happen on or before August 26 to holders of record. The trust indicated total sales volumes were slightly lower than the previous period during the three-month production period ending May 31, 2016. The Trust blamed the drop in revenue in part on the expiration of the derivatives agreement that had given the Trust the economic effect of certain oil and natural gas derivative contracts entered into with third parties for production through Dec. 31, 2015. Production is expected to drop each quarter because the Trust no longer has the benefit of the contracts no additional development wells will be drilled. The Trust owns royalty interests in oil and gas properties in the Mississippian formation in Alfalfa, Garfield, Grant and Woods counties in Oklahoma. Just a few days ago, more than 82,000 shares of the Trust traded hands on news of the distribution. The Trust was formed by Oklahoma City-based SandRidge Energy to owner royalty interests in oil and natural gas wells in northern Oklahoma.